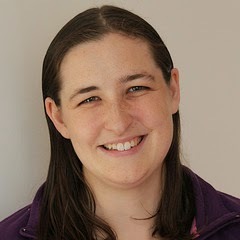 Welcome to this week's guest, Rachel Cotterill. She is professionally and perpetually indecisive, splitting her time somewhat haphazardly between writing, computing, linguistics, recipe development, and travel. She's half of the feminist SF book blog Strange Charm and her third novel, Watersmeet, is a romantic and optimistic fantasy published earlier this year. The Writers’ Lens is about "Bringing fiction into focus." What brings your writing into focus -- the characters, the stories, the love of words? RC: I quite often start from some idea of a setting or scenario, but it's the characters that bring a story to life for me. I started off as a playwright, and a lot of my approach to writing is still very strongly anchored in dialogue: I'll write down snippets of conversations in the very earliest stages of brainstorming, and flesh out the scene later with actions and thoughts and colour. What inspired your latest book? RC: Watersmeet actually started life as a stage play, which I wrote while I was at university, quite some years ago now! But fantasy isn't hugely a popular genre with theatre types, and the cast was frankly a bit too large, so it wasn't ever staged. I'm glad of that now, as the plot and characters have grown a lot since those days. When I came back to it last year, I really wanted to have a go at writing a romance, and to write something with a more optimistic slant compared to my previous work. It's slowly evolved into a tentative series outline which stretches to five books so far, plus a number of companion novellas (the first of which, The Falconer, is available for free on all major ebook retailers). What's your favorite way to interact with fans/readers? RC: I love a decent chatter, whether that's with my readers or for that matter anyone who has a story to share. I'm a huge fan of social media for forming friendships without borders - you can find me on all the major sites, but I'm most active on Twitter and Instagram. What’s your favorite writing accessory or reference? RC: Don't take this the wrong way, but I have an amazing book of drugs and poisons. It's designed for clinical diagnosis, and covers everything from overdose symptoms to antidotes and treatments. I picked it up very cheaply in a discount bookstore, and it's done me well over the years. On the slightly more positive side (but not entirely unrelated), I also have a fabulous book of medicinal plants. Generally, my writing reference bookshelf is something that will have to come with me to the ends of the earth! Describe the best writer you know and something wonderful he or she has written. RC: That's a hard question! There are so many amazing writers out there - I even started a book blog last year to give myself a platform for shouting my favourites from the rooftops (Strange Charm, http://strangecharmbooks.co.uk, if you're interested). One of my recent favourites is Charlotte E. English, who writes beautiful fantasy across a number of sub-genres: her Draykon trilogy is fairly traditional high fantasy, Black Mercury is an excellent steampunk adventure, and the Malykant Mysteries are murders in a secondary world. She writes great female leads, her plots are always compelling, and she has a real way with talking animal companions. So if there's an author I'd like to be more like, she's probably the one! 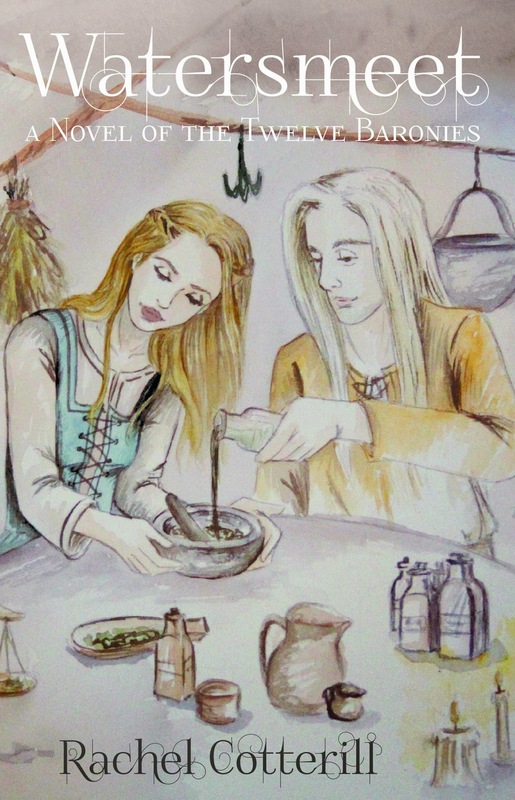 WATERSMEET: When a stranger tells her she's a mage, Ailith is intrigued but she's also afraid. Magic is heresy, and heresy means death under the Temple Law. Even literacy is suspect in a girl of her background, and her sister's impending wedding only serves as a reminder that she should be focusing on her future. Then a local priest asks her to rescue his son, and she starts to wonder if her talents could be a blessing, after all.